This BATC video shows the P3E satellite announcement made on July 25 at the AMSAT-UK International Space Colloquium in Guildford. Drew KO4MA and Peter DB2OS were happy to be able to announce a cooperation between AMSAT-NA, AMSAT-DL and Virginia Tech to try and get Phase-3E launched! Virginia Tech has approached the US Government to fly the Phase 3-E space frame into High Earth Orbit (HEO) in order to support scientific payloads as well as serve as an amateur radio satellite. 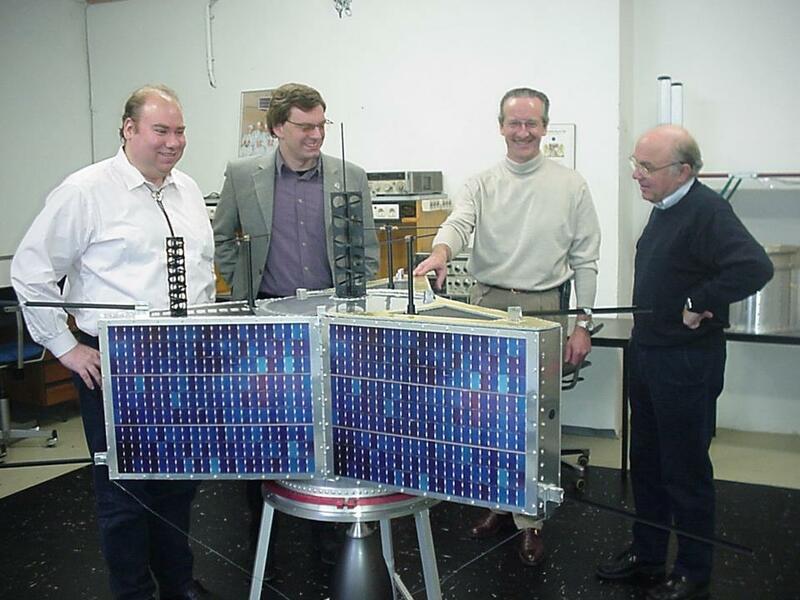 During the AMSAT-DL Annual Meeting on July 4, 2015, the AMSAT-DL membership approved the concept, agreeing to allow the Phase 3-E space frame that is currently stored in Germany to be shipped to Virginia Tech in the USA for further construction, testing and preparation for eventual launch to HEO should the US Government formally agree to fund such a mission.